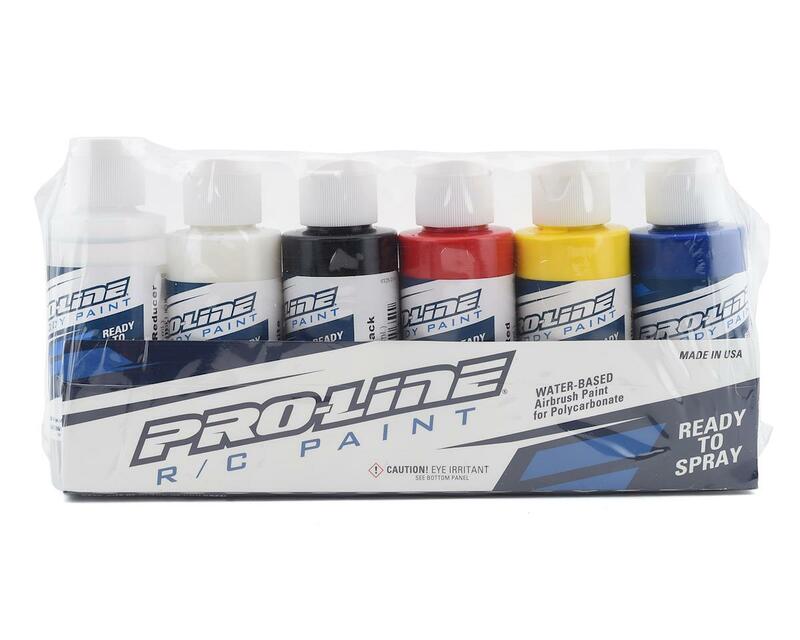 The Pro-Line RC Body Paint Primary Color Set includes Reducer, White, Black, Red, Yellow, Blue - each specially formulated for Polycarbonate. Pro-Line’s Team of Innovators have painted literally thousands of RC car bodies over the years and now offers ready to spray R/C Body paints specially formulated to help you achieve the same jaw dropping results they do. Developed by R/C body painters for painters, this water-based airbrush paint is ultra-flexible, extremely durable and easy to use. Have the confidence that you are spraying the best! This pre-thinned airbrush paint makes it easy to grab the color you want and spray without the hassle of mixing (using a 0.5mm tip @ 30psi). After the paint had dried and the paint job looks good, the paint easily can be scratched off since I discovered the paint easily gets removed when placing the body on the car. I tested on one area the paint can be removed by my finger nail. I wish they still make paint like the old days, using oil based. That stuff is strong and sticks to the body and scratch test, you need strong force to scratch it. Thanks a lot EPA for making life hard.